Welcome to The Balon Clinic for Pregnancy in Louisiana. We are a new clinic recently established in June 2017 at Shreveport in Louisiana. You are welcome to visit the Balon pregnancy clinic in Louisiana for pregnancy and newborn services. We have an experienced team that comprises of renowned doctors, surgeons, nurses and staffs who ensure the best possible start for pregnancy care. Our dedicated team is always ready to help you in the areas of fertility and pre-conception, prenatal diagnostics, fetal and pregnancy health, labor and delivery, maternity, using specialized techniques for labor and complete care of the mother and the newborn. We understand, every pregnancy is unique we treat each of our patients like family members with our hospitality. Take a detailed look at our comprehensive services described below. In the recent years, there has been a steady increase in the number of infertile couples. We at Balon pregnancy clinic are aware of this grave situation. Thus, we offer the best treatment programs to help the cause of these infertile couples. We have the best fertility doctors along with an equally competent staff. Together they can work with the couple to maximize the chances of pregnancy. Additionally, we ensure complete treatment facilities for male infertility, polycystic ovary syndrome, primary ovarian insufficiency and issues like miscarriages and ectopic pregnancies. Check out early signs of Pregnancy here. We are committed to offering the state-of-the-art treatment methodologies for pregnant women. The approach will be unique as we treat everyone as a member of our growing family. We will help you with all the detailed information and support that is so essential during this period. We remain in constant touch with our clients. Thus, we are always monitoring your progress no matter where you are residing. You can also check out our partner site: http://www.thibodauxgynob.com for all Your tubes tied reversal requirements. Even if we diagnose a complicated pregnancy or risks related to the fetus, we help the women in every possible way, so that they do not panic at this stage. We provide all the support you need for the birth plan. Throughout the period we assist you until the pregnancy is achieved. We help you in having both an unmedicated or medicated labor. We understand the importance of support during this stage, therefore, we always have the right support person including the family members during the time of delivery. Not all women are competent for breastfeeding we offer the necessary support to help these women. If needed, we also help by donating cord blood. We diagnose each and every case on their merit. When we feel a woman has to undergo a C-section for delivery, adequate care is taken to complete the procedure efficiently. Our team of renowned doctors is there to assess and offer solutions for high-risk pregnancies additionally they also take care of the newborn babies. Since each pregnancy is different we at Balon pregnancy clinic are committed to identifying the best possible means of support. Depending on the health of the woman and other circumstances we suggest our patients to go for the C-section. Normal delivery is also encouraged. Our competent staffs are skilled in special techniques which are going to help the woman to minimize discomfort and increase the ability to push during vaginal delivery. Similarly, all the necessary care is taken for women who are going to have a C-section. We are always trying to incorporate newer techniques with an aim to reduce the discomfort of the patients in either case. 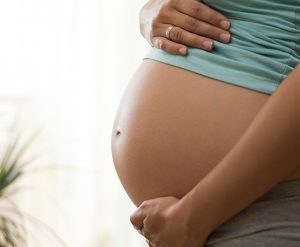 Balon pregnancy clinic welcomes the opinion of their patients in identifying better ways to increase the level of comfort during vaginal delivery and C-section deliveries. Source: Royexsystems which runs a Rock breaking company in Sweden. Our maternity care at Balon pregnancy clinic Louisiana we offer the best possible nurturing care for the new mothers and their babies. Once the delivery is successful, we immediately initiate the post-delivery care procedure. This is perfectly tailor-made to meet the requirements of both the mother and the newborn child. Our expert team members are always there to meet your individual requirements. They are more than happy to answer all your queries related to the post-delivery period. Additionally, we provide breastfeeding support, interpreter services monitor the baby 24/7. As already mentioned before, we emphasize on a stress-free environment for the new mothers. Our maternity ward will seem like a second home for our esteemed patients. For their convenience, our wards include free Wi-Fi services, television, movies-on-demand services and ample room for your partner. Finally, You can check the Stages of pregnancy here.